The soul’s search for peace and redemption can take many shapes and forms. The road, if you should choose to set out on such a journey, is fraught with trials and tribulations, sprinkled with glimpses of glory and flashes of joy. More often than not for the, shall we say, serious traveller who might ask too many questions, the journey can be almost destructive as opposed to redemptive. That,of course, is another story. Seth Woods (aka The Whiskey Priest) is a soul with an enquiring mind in search, like most of us, for truth and love. He is also a poet with a great gift. So here, on this batch of bedroom recordings from 2002 to 2011, Seth reveals part of his soul’s journey. One man, his guitar and his fledgeling (?) faith. He is a prophet singing in the darkness, fragile and frail. A voice in the wilderness. He is waiting for redemption, recounting his present day troubles, doubts and fears and looking out for glory. These songs are Seth Wood’s “Pilgrim’s Progress”. These are songs of a soul laid bare, delicate prayers and hymns from a soul on the road less travelled. Poetry from a quiet and hidden place. We are invited in to share in this intimate and holy communion. “answers are dead. questions are alive. stay open. 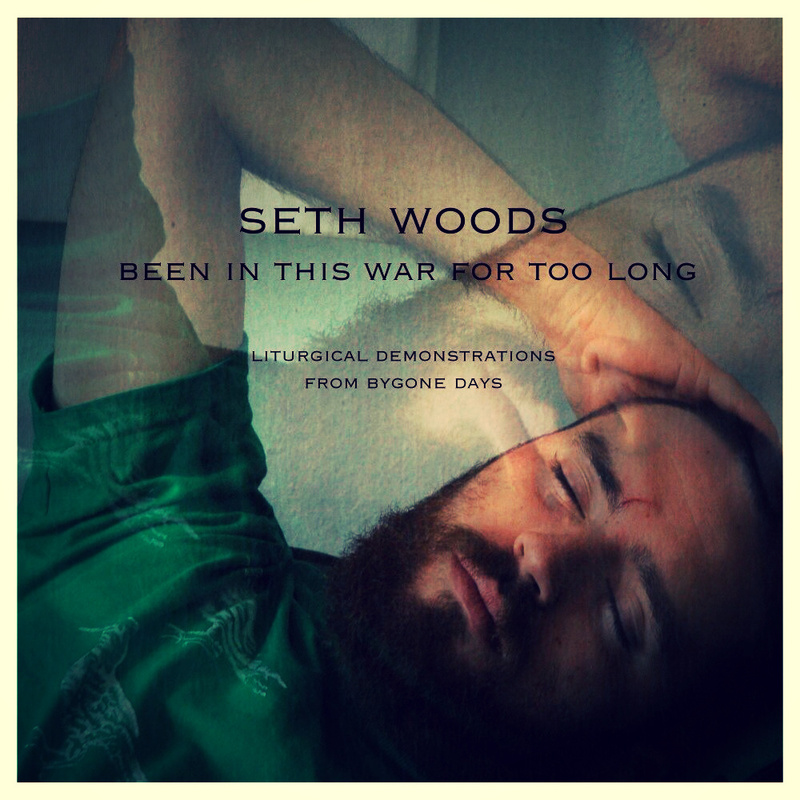 it cannot be too much longer.”-Seth Woods. Posted in Apocalyptic stuff, reviewsTagged Hymnal, Seth Woods, the Whiskey PriestBookmark the permalink.